It is always good to see innovation in the various arms of the PC industry. Earlier this year HEXUS reviewed the Deepcool Captain 240 Pro AiO cooler and was impressed by its operation and touted anti-leak technology. However, we were a little sceptical about Deepcool's claims - without detailed information on the background tech, an extended testing period, or previous examples of such coolers to look back at. 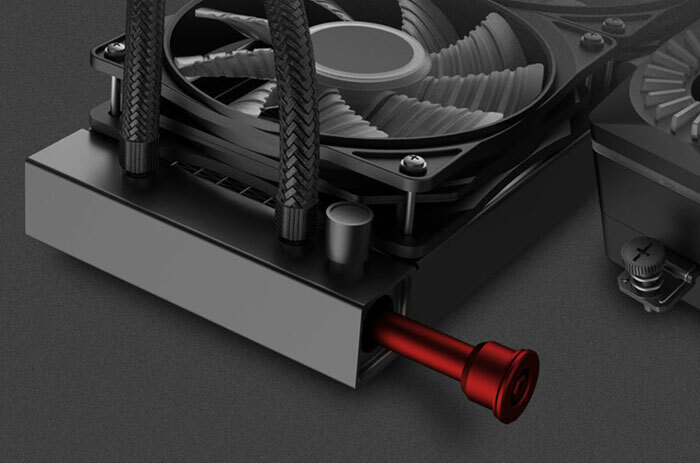 Nevertheless, the Deepcool Captain 240 Pro won a HEXUS Approved award and buyers could feel relatively safe for the three year warranty duration. Today Deepcool emailed HEXUS with some further information about the technology behind its anti-leak claims. Since our review it has gained an anti-leak patent (No 201820725976.9) so appears to feel safer in divulging information about the liquid cooling system. Deepcool worked for three years on its anti-leak tech, which is based on the idea of maintaining pressure balance throughout the AiO cooling system. At the time of our review we were told that the main component of the anti-leak feature was a rubber capsule that compresses and decompresses dynamically. Deepcool has now elaborated on this explanation. The device crucial to this anti-leak system is described in the patent as "an elastic pressure-relief bag," that resides in the radiator. 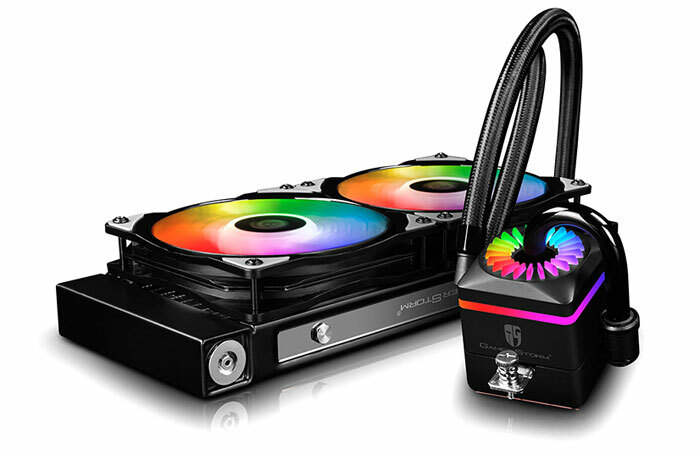 The bag is half in air and half in the coolant, says Deepcool, but the images, animation and description don't clearly explain how this is achieved. With greater temperatures the bag is squeezed and increases the system's internal volume, avoiding critical pressure level build-ups over time. In other systems the large fluctuations in pressure can put a heavy strain on seals which can cause fatigue and failure over time. Leaks from liquid coolers can be "catastrophic" asserts Deepcool, leading to hardware damage, data loss, or even fires. The word 'bag' for the anti-leak system pressure relief system doesn't communicate the sturdiness of this sub-component in my view. The Deepcool patent page shows what looks more like a sturdy capsule, or bladder. We are told that it is made of "premium EPDM material produced by DuPont," and offers great elasticity, anti-corrosion, and anti-aging properties. Furthermore, Deepcool equips hoses made with a mix of IIR material and premium rubber that imported from Japan and the U.S. which are fibre cladded for pressure resistance (and looks).